The KraussMaffei Group said it is expanding the sales and service activities of its Netstal brand in Mexico. “We envisage extremely good opportunities for the growth of Netstal’s high quality product and service portfolio in the Mexican packaging and beverage packaging market. In order to better and more quickly meet growing demand, we consolidated the strengths and expertise of the KraussMaffei, KraussMaffei Berststoff and Netstal brands in Mexico with effect from January 1 2014,” announced Dr Hans Ulrich Golz, CEO of Netstal and President of the Injection Molding Technology Segment for the KraussMaffei Group. The group also announced that Patrick Bolliger will be responsible for all future sales activities of the Netstal brand in Mexico. “With respect to the requirements of our customers, I see excellent opportunities on the Mexican market for the variety of new products launched by Netstal in fall 2013 as part of its product and innovation offensive. 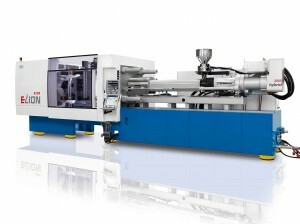 We can therefore guarantee our customers in Mexico the highest output teamed with the lowest unit costs and all the design-related and qualitative advantages of injection molding,” Mr Bolliger commented. Netstal offers complete, turnkey systems for beverage packaging, closure, thin-walled packaging and medical technology applications.